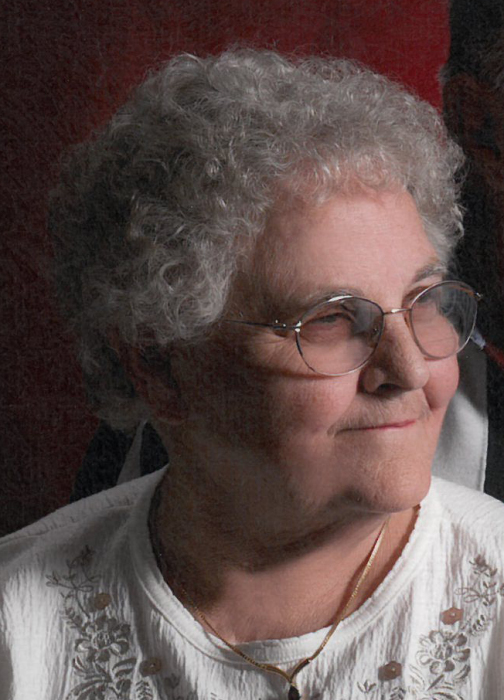 Obituary for Elda Ann Hudson | McKee Mortuary Inc.
Elda Ann Hudson, 83, Roann, Indiana passed away February 12, 2019 at 10:30 p.m. at Peabody Retirement Community, North Manchester. Born in Albion, IN on March 10, 1935, Elda was the daughter of Howard and Ruth (Gilliland) Day. Elda graduated from Laketon High School in 1953 and on August 2, 1953 she married Jordan E. Hudson. After many years of service, Elda retired from Singer Controls in North Manchester and was a homemaker. A member of the South Pleasant United Methodist, Elda was active in the church and made noodles for fundraisers. She will be remembered by her three sons Charles E. “Chuck” (Ann) Hudson, Silver Lake, IN, Norman W. (Sue) Hudson, Valparaiso, IN, and Terry L. (Debbie) Hudson, Roann, IN; one brother Morris (Judy) Day, North Manchester, IN; five sisters Darla (John) Eads, Urbana, IN, Esta Alice (Carl) Good, North Manchester, IN, Phyllis Vehnekamp, North Manchester, IN, Peggy (Earl) McCullough, Logansport, IN, Libby Causey, Arizona; six grandchildren and ten great grandchildren. Elda was preceded in death by her parents and five brothers. Friends and family may call Friday, February 15, 2019 from 4:00 – 8:00 p.m. at McKee Mortuary, 1401 State Road 114 West, North Manchester, IN. Funeral services will be held Saturday, February 16, 2019 at 11:00 a.m. at the South Pleasant United Methodist Church, 5064 W 1400 N, North Manchester, IN. Pastor C. Russell Reahard will officiate and burial will be at Enterprise Cemetery, 4581 E 1200 N, Roann, IN 46974. For those who wish to honor the memory of Elda Hudson, memorial contributions may be made to the National Kidney Foundation, 30 East 33rd St. New York, NY 10016 or South Pleasant United Methodist Church, 5064 W 1400 N, North Manchester, Indiana 46962.